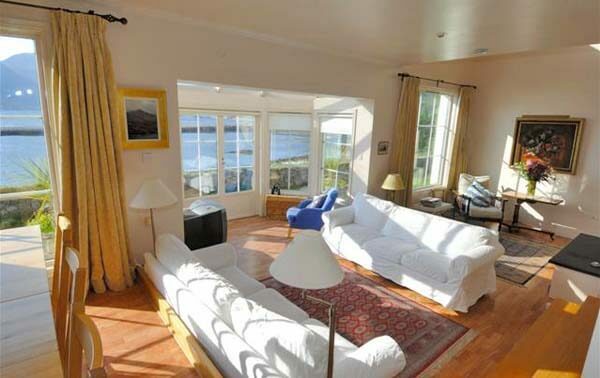 Kirkfield House is a unique house set in a fantastic situation, 18 feet from the sea, overlooking the south of Skye in the magical area of Glenelg. There are The Brochs, the Barracks, Gavin Maxwell's Sandaig, beaches, bays, Glen Mhor, Glen Bheag, waterfalls, Loch Hourn, Arnisdale and Corran. The wildlife is amazing - enjoy otters in front of the house (Gavin Maxwell wrote Ring of Bright Water near here), seals, pine martens, passing Basking sharks, Minke and Humpback whales, porpoises and maybe even a Killer Whale. Looking over to the south of Skye, Glenelg is a picturesque settlement which until less than 200 years ago was the main crossing point to the island. A small ferry still makes the short crossing - the only manual turntable commercial ferry in the world and a great way to arrive on Skye. The narrow strait has fierce currents but these make an ideal playground for numerous seals and otters which can easily been seen from the boat as you cross. It is a memorable drive to the ferry on either side with narrow winding roads reaching an impressive elevation on the mainland. 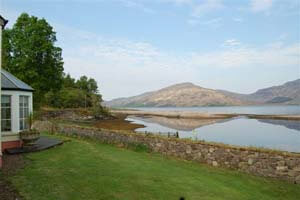 The area around Glenelg is a walker's dream. You can explore any or all of the Five Sisters and for the really ambitious there is the Cluanie Ridge, which takes in no fewer than seven Munros in one long scenic hike. 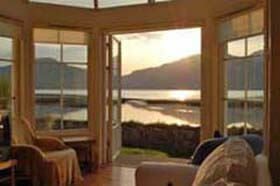 The famous Glenelg Inn, described by Bill Bryson as an "outpost of comfort and graciousness", is a mere 40 yards through the garden; an ideal companion to this unique and characterful self catering house in Glenelg. Kirkfield House has a huge living area with a wood-burning stove. 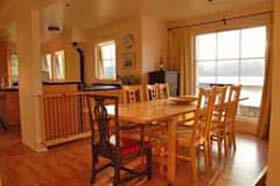 There are 4 bedrooms, 2 bathrooms with bath and shower plus a walk-in shower and a small sauna. The kitchen is fully equipped including an aga. 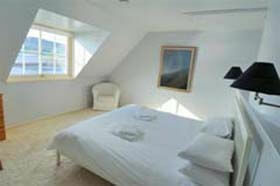 Every comfort has been taken care of: there is underfloor heating, air-conditioning and triple glazing. Outside the house has a large garden with garden furniture. This is a unique holiday house in the highlands of Scotland, with the bonus of being next to an inn offering great food and music! All bed linen, towels, heating etc is included and you will be welcomed with a bunch of fresh flowers and a huge bowl of fruit. Check in usually at 4pm, check out at 10am. 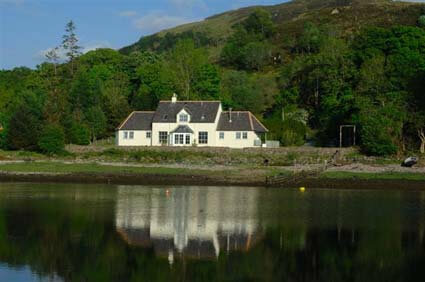 To book this idyllic Glenelg self-catering holiday cottage, click the enquiry button below and see availability and rental prices. 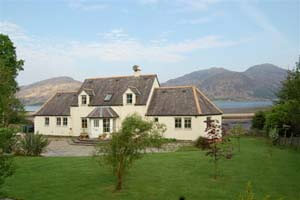 This is a very spacious house in Glenelg, a charming village in the north west of Scotland. Ideally placed for outdoor pursuits in this beautiful corner of Scotland and next to award-winning pub - the famous Glenelg Inn.